Almut Möller is an EU analyst and currently the head of the Alfred von Oppenheim Centre for European Policy Studies at the German Council on Foreign Relations (DGAP) in Berlin. She has published widely on the European Union’s overall political and institutional development, Germany’s European policy, as well as foreign and security issues related to the EU’s neighbourhood, in particular the Middle East region. She is a frequent commentator on European and foreign affairs in the German and international media. Prior to joining DGAP in 2010, Almut lived as an independent analyst in London. From 2002 to 2008 she worked as a researcher at the Center for Applied Policy Research (CAP) in Munich on questions of the EU’s institutional reform, enlargement, and Euro-Mediterranean cooperation. 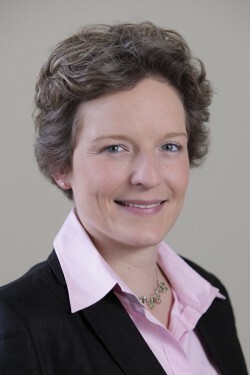 Ms. Möller is a Non-Resident Fellow at the American Institute for Contemporary German Studies (AICGS) at Johns Hopkins University in Washington D.C., and an Associate Fellow at the Austria Institute for European and Security Policy (AIES). She was a guest researcher at Renmin University of China in Beijing (2006), Al Ahram Center for Political and Strategic Studies in Cairo (2007) and at AICGS in Washington D.C. (2008). She holds an M.A. in Political Science of Ludwig-Maximilians-Universität in Munich. She also studied at Westfälische Wilhelms-Universität in Münster and at the Institut d’Études Politiques (Sciences-Po) in Aix-en-Provence.